Check out these names, Jeremy McQueen and Phoebe St. Claire... with names like that this book was destined to be amazing. Jeremy and Phoebe crossed paths at a young age when they didn’t care about anything but how they felt when they were around each other. Phoebe was a liar, and Jeremy was an angry teenager just looking to get back at the world Phoebe existed in. From the age, anger, and lies their young relationship faced, it was best things ended the way they did….. Many years later, Jeremy and Phoebe run into each other at the hot new elite nightclub of New York. Older, stronger, and missing the type of connection they shared, Jeremy and Phoebe decided to give things a try again. This is where the story brought me on a journey of finding forgiveness and learning how to trust again. 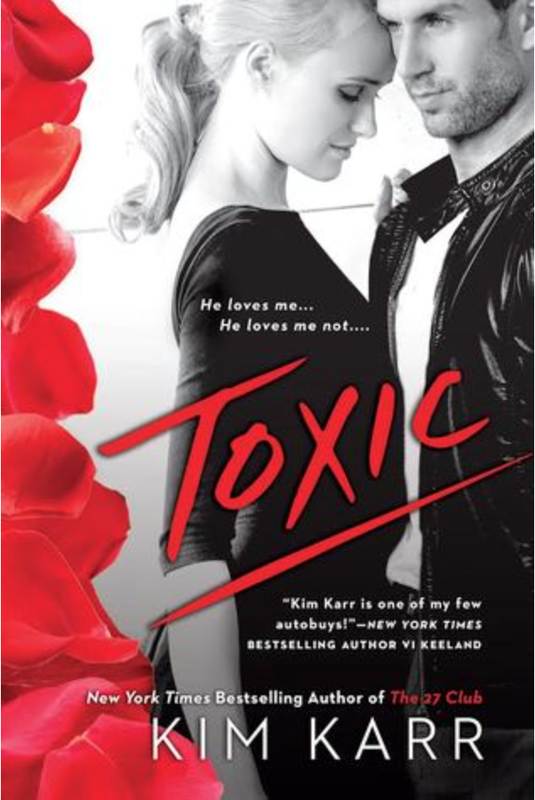 The thing I loved most about Toxic was how fun it was from start to finish. I adored Phoebe and found her smart and sassy. Jeremy was this masculine guy who was smart, and had grown up a lot over the years. When the two of them would spend time together it was hard not to feel exactly what they felt towards each other.